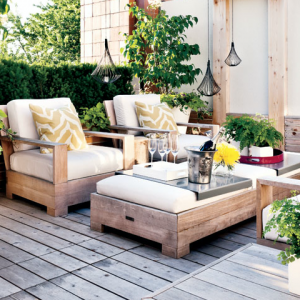 This has evolved into patios that are roofed, and generally have open sides. To greatly enhance your property by increasing the living space available, a patio is the answer. Our tropical climate means you will use your patio throughout the year, and there are countless options available for building materials, construction, outdoor cookers, and furniture. 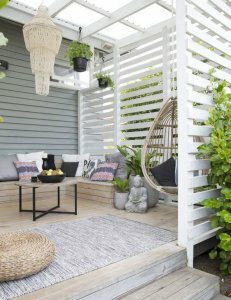 A patio can be either attached to the house, or is detached (sometimes referred to as a ‘floating deck’). Grotec will provide advice and construction for you, but first, look around and see what others have and decide if that would suit your space. The roof will keep you cool in summer, and dry in winter. You can see examples of domes, pyramids, and flat roofed patios, all offering modernity, and giving an affordable way to increase the living space. 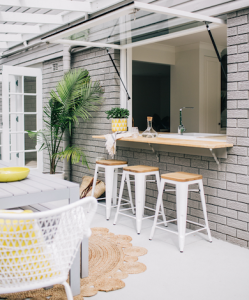 There are so many different ways your patio can be used, but overall, the patio can become your main entertainment centre. Wooden flooring can be a stunning option, making an extra deck for both attached and detached models. There are some new composite products available, and Grotec will advise you if these are suitable for your situation. The furniture will depend on what you can afford, as there are so many pieces available, varying in size, shape, and colour. The patio can even be used as an alternative kitchen or dining room. The traditional barbecue has always been a family favourite, and the models available vary according to price. Most now rely on gas. Currently, the trend is to create an outdoor kitchen. There are outdoor, wood burning fires that allow you to cook an impressive range of food. These can be made of stone, or brick, and double as a heat source during cooler weather. A pizza oven is also a clever and practical option for your outdoor entertaining areas. These can be built on site, or bought as a flat pack for home assembly. Uses are not limited to only pizza production, and can be perfect for cooking a range of other savoury or sweet food. If possible, and if there is an appropriate water source, a small sink could be included in the design, with storage underneath. A roller door will hide this away when not in use. 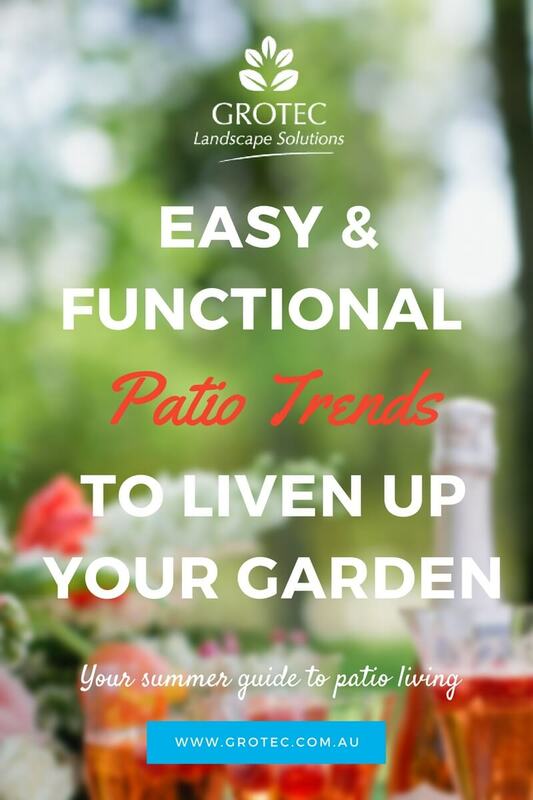 Then one step further, a living pantry could be planted – perhaps a vertical garden of herbs, or lemon, lime, orange or olive trees will add a feeling of luxury to your patio. Now is the perfect time to build a patio, and Grotec has all the expertise to advise, and construct one for you.